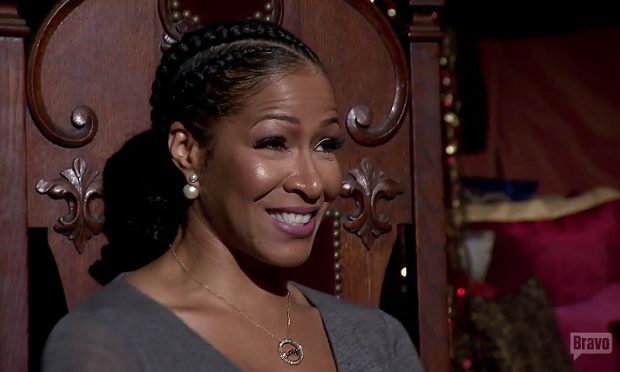 On The Real Housewives of Atlanta, while all of the women are gathered for lunch, Kenya Moore inquires about Porsha Williams‘ anger management classes. Kenya says it was Phaedra Parks who told her about the classes. 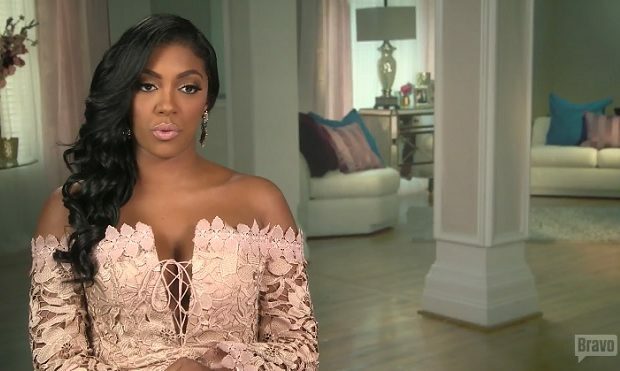 When Porsha turns to Phaedra with a surprised look, Kenya asks, “Is that something you don’t want us to know about?” Porsha doesn’t answer the question. And although she feels “completely ambushed” at the moment, her hair looks fantastic, even while wearing a hat. Porsha says her secret to great hair is “good hair pills.” She’s referring to HairFinity vitamins which have the tagline: “2 Vitamins A Day For Hair That Will Slay.” One bottle of 60 capsules of HairFinity Healthy Hair Vitamins on Amazon (one month’s worth) sells for $25. The Real Housewives of Atlanta airs Sundays at 8pm on Bravo.